Holidaymakers looking to embark on an ‘Around the World’ odyssey with Fred. 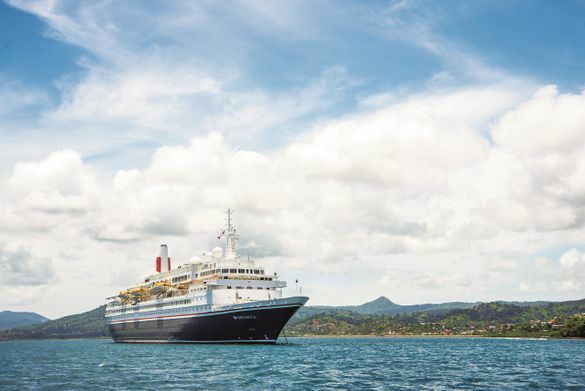 Olsen Cruise Lines can enjoy double FREE On Board Spend – of up to £1,400 per person – on board Boudicca‘s 168-night D19GV ‘Grand Voyage’, setting sail in October 2019, on all new bookings made by 28th February 2019 inclusive. Guests can choose to use this free On Board Spend to immerse themselves fully in the destinations with award-winning shore excursions; enhance their onboard experience further by purchasing food and drink; or enjoy Boudicca‘s many onboard facilities throughout the duration of this exceptional cruise. “Boudicca‘s ‘Grand Voyage’ – of an epic 168 nights – is set to be the longest, most extensive sailing ever undertaken in Fred. Olsen’s history! Guests will get the chance to visit no fewer than 61 different ports, towns and cities right across the globe, taking in far-flung destinations rich in culture and steeped in history. – Boudicca‘s 168-night D19GV ‘Grand Voyage’, ex Dover on 3rd October 2019. Prices start from £15,999 per person. – Boudicca‘s 16-night D1926 ‘African Wildlife & Landscapes’ fly-cruise, ex Cape Town, South Africa (flights from London Gatwick / Manchester / Scotland) on 30th October 2019. Prices start from £2,999 per person. – Boudicca‘s 14-night D2002 ‘Singapore, Bali & Burma’ fly-cruise, ex Benoa, Bali, Indonesia (flights from London Gatwick / Manchester / Scotland) on 22nd January 2020. Prices start from £2,999 per person.